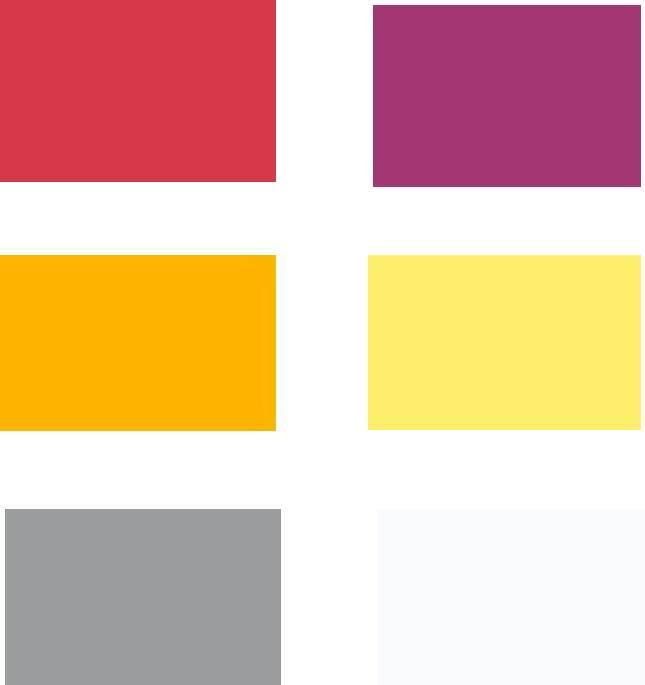 Now that we’ve discussed the theme and mood of my forecast for Spring/Summer 2016, we can get to the fun stuff…color. I picked eight colors…and one basic pattern, that I see being huge for the sunny seasons two years from now. First, a recap: the theme and mood that I have found to be popular in 2016 is a nature look due to the uprising popularity of both fitness and outdoor recreation. Because of this, the colors that I have found are all colors that represent the outdoors, health, and serenity. I found all of my color swatches in old Pantone color charts, so they’re obviously already approved by the pros. The first color, I call Pine because it is very similar to the color of a pine tree. Groundbreaking, I know. This color is representative of the current trend of earthy colors and is a common color in workout gear, which is why it should be making its way into the limelight as one of the two darker summer colors in 2016. The second color, Dark Sands, is another earthy nature color. This is the neutral color or shade of tan that A.) Pairs beautifully with the other colors here and B.) is the best representative of the great outdoors. My third color in my forecast is titled Seafoam. Simple, yet effective. This lighter and brighter shade of green is perfect for spring and summer and is a shade of green that is fitting for both the grass and the sea. At least one shade of green is popular each summer, so why not one that is perfect for what is currently on trend in other aspects of the zeitgeist, right? Fourth, we have my favorite color of the season, potentially because it’s the closest to my birthstone color, but still. Under the Sea is an airy color that is perfect for cute athletic gear or a bikini while laying out on the beach. Regardless of situation, this color looks perfect outside. Rosebush is the fourth color comin atcha in 2016, and is the token pink for the summer. While the rest of my forecast shows a movement away from pink, this orange-ish shade still made it’s way in because of how perfect this looks in a floral print. Yeah, floral prints aren’t going anywhere, folks. No need to get rid of your current flowery sundresses for at least another two years. Sunny Straw and Light Sunshine both cover the same purpose, just in different shades. They are light and airy, as well as look hot under the natural sunlight. Pun only slightly intended. My last color is Ocean Navy, which is the perfect dark for slimming athletic gear or a contrast in florals. Basically, in 2016 you should be stocking up on happier versions of the earth tones currently in your closet. Cute AND easy, right? It’s funny how much the zeitgeist can tell you about where trends are going, even two years down the line. I don’t know what I’m eating for lunch today, but I have an idea about what you’ll be wearing in May of 2016…crazy. So what does my crystal ball see? Based on the health, clean eating, and workout trends that we have been seeing in almost every aspect of the zeitgeist, I see a lot of inspiration from nature coming in in 2016. It’s a bright, outdoorsy mood with a lot of athletic undertones. 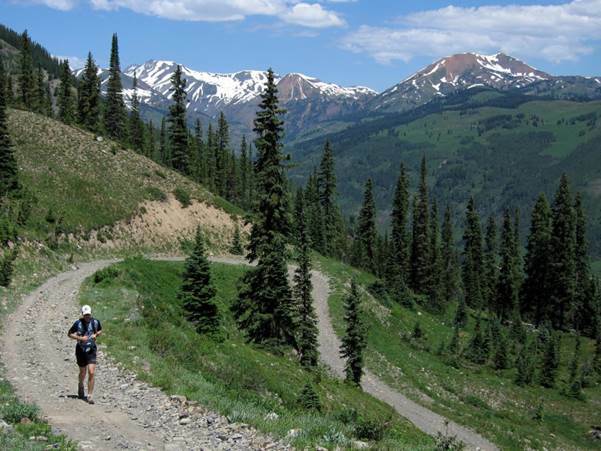 The push for health that we’ve seen in the zeitgeist mixed with the rising popularity of fun 5k runs and outdoor exercises, I see this as inspiration for the things that we are purchasing in two years time. Do you know the serene feeling that you get when you’re out on a lake, maybe on a paddleboard or in a canoe? It’s that feeling of calmness and relaxation that the outdoors invoke that leads to the mood of this forecast. WGSN has articles showing their current trends in color, materials, and more…and on there I noticed that 2014 is chock full of boxy cuts and pink and purple hues. What this year has in androgynous cuts, 2016 will have in form-fitting gear perfect for spending time in the outdoors. Another thing that leads me to believe that we will see a shift in direction to a nature-inspired theme in fashion is the current begging for people to be less technology-dependent that is being seen, ironically, all over social media. This was seen in the zeitgeist in discussing some of the dominating attitudes in our society. Putting down the phone and going outside for a little sunshine and fresh air? Inspiration. I also noted that the runways earlier this spring in good old New York City were covered in floral prints. Okay, so what does that mean for 2016? Well, I see this trend continuing on and perhaps even becoming more distinguishable. I say this because we have been seeing floral patterns progress for the past few years and have only become more popular throughout that time. I also think it is the perfect foot in the door to have more of a nature-esque feel in fashion because it is subtle, but still leading the way for what is to come later on. So, later on will be covered in nature. Does that mean I expect to see trees as prints on dresses? No, not at all. But that doesn’t mean that there can’t be a little hint of the outdoors in our style. 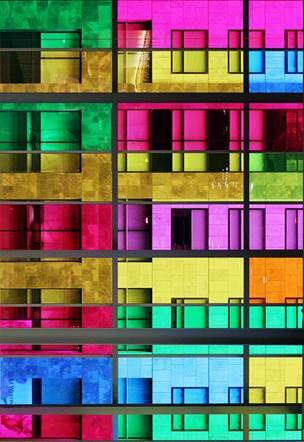 Colors inspired by technology doesn’t necessarily mean give a forecast of Technicolor. The hues I predict we can see for spring 2016 will take some inspiration from the vibrancy of all things enhanced by HD, Retina display, or whatever other type of advanced imagery we have these days. As we see life in higher definition, I think we’ll want to see colors that are as vivid as the high definition ones on our screens. Blues will still be prominent in apparel, especially since they are something we associate with technology. If not technology, at least it is the color most identifiable with social media. Bionic and cyber blue are bold blue hues that most directly represent technology’s influence on color. Additionally, since I don’t think we want a closet of all things blue, there will be some hues that gear towards the warmer side of the color wheel. Evermore, tangible, and bright future are all colors that reflect high i ntensity, positive outlook, and also feel appropriate for the season. Transcendent, still falling in the red-purple color family, reminds us of a sense of mystery and evokes creativity. This color embodies the sense of wonder we have about our future, as well as encourages us to keep creating and rethinking what is possible. Machine and neoteric are the neutrals for spring 2016 that I see as being more prominent. These neutrals are symbolic of design and innovation with technology. Think like your Macbook Pro, sleek and simple. I think we can also see the gray in metallic colors. Nothing says futuristic quite like looking like you’re wearing aluminum foil! Now what will the most popular prints look like? How about geometric prints that reinvent the art deco movement? As I mentioned in my theme, a sense of reality amongst the technology will come from our past, and the decade we most relate to is the 1930s. Art deco was the major movement of that era, and the prints in 2016 will show a computer generated version of the repeating geometric shapes. This will be created through more abstract shapes and the vivid colors of the season. Additionally, texture will be a key part of textiles. If not created through 3-D texture such as fur or specialty yarns, the prints will imitate it. Some patterns will make you think they’re popping right off your outfit. Computer generation and repetition will be apparent in the prints, as well as the reimagining of art deco from decades past. The use of color really will be the representative factor of the future and technology, whereas the prints will be indicative of our inspiration from the past. The combination of the two aspects seamlessly blend to make a bold statement in spring of 2016. Be prepared to dress in vivid, high definition color. 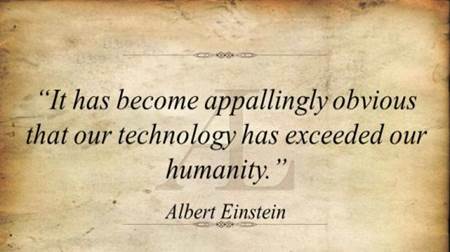 Each year technology becomes more and more incorporated into our lives. We count on it to manage everything for us from our health to blaming it for not waking us up for class. Science fiction and the idea of a utopian future have fascinated us in the realm of media, including books, movies, and television shows. A gradual shift has occurred from reimagining our past, to technology influencing the present, and the next phase is geared toward creating the future. But before we get too far ahead of ourselves, we pause to analyze the potential hazards of ultimate technology. 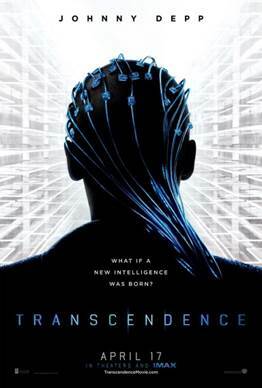 Have you seen the previews for Transcendence?! Also, I’ve watched the documentary on the guy who came up with all of that, and should we really be listening to a guy who pops nearly 200 pills a day so he can live longer?? I don’t want any part of that, but it reflects what we’re interested in. In our day and age we’ve achieved instantaneous, so now we’re striving to see what’s coming next. The future, even if only by a few minutes, is where the focus of society is headed. At the same time, there is a general desire to avoid becoming completely consumed with modernity and innovations. In Spring of 2016 I think we’ll see lots of things inspired by technology, but also grasping for something that feels very real and unaltered. Where will this sense of reality come from? Things with texture and nods to the past hold true to a reality we know, while a modern and geometric twist ties in the aspiration for our technologically advanced future. The theme I see developing is what, in simplest turns, I would call the futuristic 1930s. A revival of this period will come from similarities between economic and societal hardships. In fact, this year there has been an exhibit at FIT called “Elegance in an Age of Crisis: Fashion of the 1930s. There will be a particular fascination with the amount of detailed work of the garments of this time. You could also argue that no one remembers exactly what happened in that decade, so maybe designers are just trying to pass this off as new. I can only describe this overall mood as being elegant in strife, to being true ‘Mericans and reaching for a better standard of life even in what seems to be desperate times. This translates to very geometric shapes, inspired by intelligence (artificial or not) and structure, longer hemlines and a straight silhouettes reflect the 30s decade. These two elements combine to create interesting styles that reflect both a reluctance to let go of the past and reality, as well as the futuristic influence of technology. The overall mood of Spring 2016 will be hopeful, but aware of our current situation. Technology will continue to affect the way we live, including fashion. In the next two years watch as we combine it with the past and present to render reality. Color and Brazil are practically synonymous. With such vibrant colors in the country’s plants, animals, and people, this forecast couldn’t be anything but fun and full of bold colors. Bird is the word for the colors and patterns of Spring/Summer 2016. 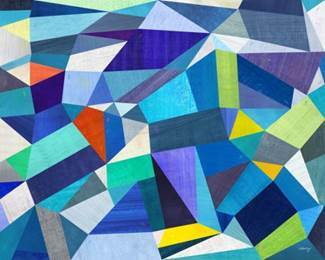 These flying sources of color inspiration provide the perfect, ROYGBIV friendly color pallet. Why make up colors when the one already present in Brazil are so beautiful? I selected 8 colors that I feel will work for our Brazilian Bliss future, and each of them is named to reflect the inspiration behind them. One of my favorites is Blue Parrot. A few years ago Blue Cobalt was a huge hit, so I think this will be successful. Blue Parrot is a true blue that is seen in just about every tropical bird in Brazil. Variations of this color will be used as well, both lighter and brighter. You can’t be inspired by birds and leave out the Toucan. Toucan is a bright, sunny yellow with a slight hint of neon. This will be a more subtle nod to neon yellow. Next is Rio Red, named after the new home of the Summer 2016 Olympics. It’s a bright red with a little orange to it. Women especially will love this color because it reflects the sexiness of a Brazilian woman. Bird of Paradise is an orange-yellow. This color won’t be worn on its own, but will be used as an accent or in mutil-colored prints. Quetzal is a vibrant green color inspired by the bird from whom it got its name and the greenery of Brazil. Green was present in almost every image I found of anything Brazil related, so of course it couldn’t be left out! Don’t be too scared of the bold colors, I’ve selected a few neutrals to balance them out. Brazil Nut is a brown that will be the new black. This color will be seen in interesting textiles that make the sometime bland color a little more exciting. 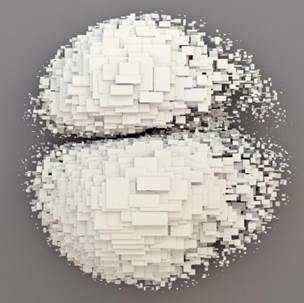 White Coconut will be in the majority of garments. It’s a little easier on the eyes that a true, bright white, and will provide the perfect canvas for fun, colorful patterns. Finally, Collard Puffbird is a sandy tan that will also serve as a neutral to balance out the bold. The key to making these colors work is mixing and lots of nature inspired patterns. 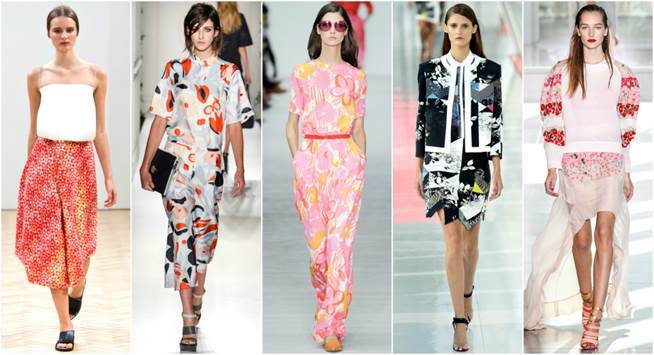 Floral prints will continue to be huge, but will take a tropical twist. We will even see birds sneak their way into prints, along with leaves and others types of plants. After a year of gray and pastels, people will be ready to embrace this exciting, somewhat over the top look in all over, colorful prints. It’s the ultimate statement of confidence and individuality, something important to our Zeitgeist. Don’t worry; solid colors will still be in for the less risky. You will see this pallet and prints on everything from evening gowns to athletic wear. I can’t wait to embrace this trend. As if I needed another reason to be excited about summer! Lately it seems like everyone is dreaming of vacationing and dipping their feet into a pool of culture. Those lucky enough to actually travel to the places most of us only pin about have come back with loads of inspiration ready to translate into fashion. Kendra Scott just released the Marrakech Collection inspired by the colors and designs of Morocco and the Japanese kimono is making its way into fashion. Hitting a little closer to home, designers are picking up on the Southwestern trend and adding fringe to their collections. We are a culture that loves to be inspired by the world around us, and I think we will continue to head in that direction for Spring/Summer 2016. I knew I wanted to pick a country to inspire my forecast, but I wasn’t sure which one to pick. Then I got to thinking. The next few years are pretty important for one country in particular, and I’m sure that with all the global attention it will receive, it is bound to make a mark in fashion too. 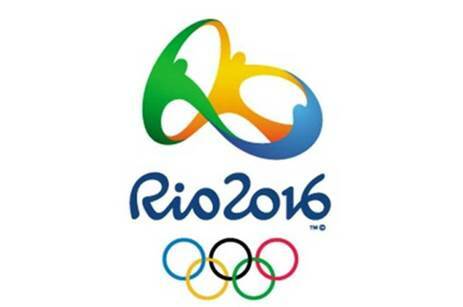 As hosts of the FIFA World Cup in 2014 and the Rio De Janeiro 2016 Summer Olympics, mark my words that Brazil is the new place to be. If you can’t go for yourself don’t worry. 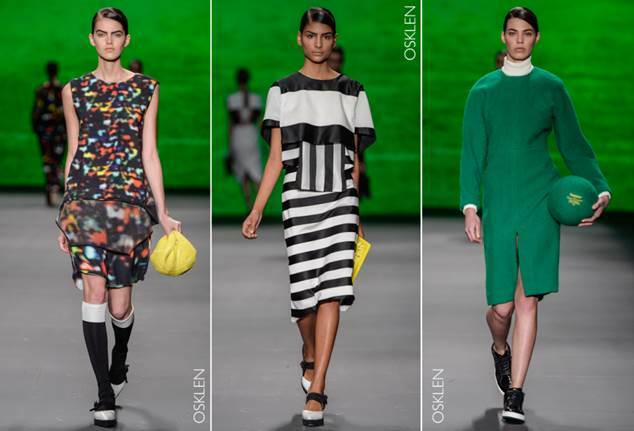 Soon you’ll be able to have a whole wardrobe all with hints of Brazil. Why? Our Zeitgeist suggests that dominating events, social groups, and attitudes influence fashion. Dominating events always have a way of sneaking onto the runway. 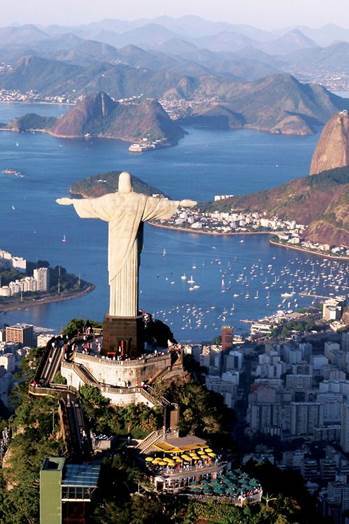 With two huge sporting events happening in Brazil, a huge influx of tourists will be visiting the country. 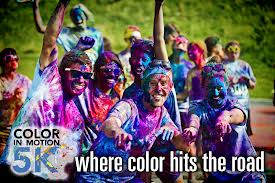 We’ve already seen huge growth in the popularity of sportswear, and these events will only make the trend more popular. Each country will bring their best designs to the playing field (literally). I have a feeling we will see them off the field too. Athletes are big influencers in the fashion world, and with all of them in the same place, trends will spread more easily amongst the cool. Media coverage will allow the world to see what these athletes dub the new it thing in fashion and apply it around the world. Native tribes of Brazil will influence the tribal trend that we have seen in fashion lately, and outlandish, heavily embellished carnival costumes worn by women will both provide inspiration. We have recognized the dominating attitudes of femininity and empowerment through studying the Zeitgeist. Brazil has a lower masculinity rating than the US, meaning that women are viewed more as equals. American women are striving to become more equal in our society, and will see the Brazilian woman as an ideal. We will be inspired by her independence, beauty, and confidence in her own skin, and will want to dress like her too! The spirit of the times is moving to Latin America, and Spring/Summer 2016 screams Brazilian Bliss. It’s a style rich in cultural inspiration and full of bright tropical colors. It emphasizes the beauty of a confident woman and is a mix of the sporty style of the Olympians and the extravagant carnival style. After such an understated time in fashion, I think we’re all ready for something more exciting. 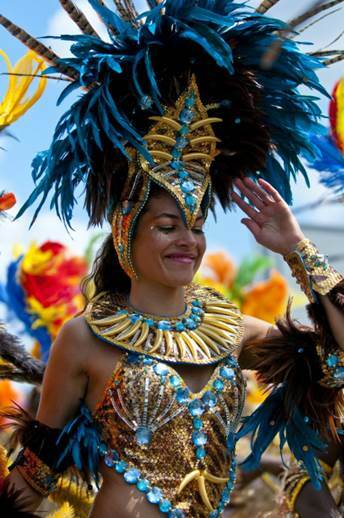 I don’t know about you, but I’ll be shaking my tail feather to the beat of the Brazilian drum.